ItemPDP03514 - M.R. Smith And Co., Est. Over 42 Years. ItemPDP03515 - The H. Smith Biscuit Co. Ltd.
ItemPDP03516 - The H. Smith Biscuit Co. Ltd.
ItemPDP03517 - A Pointer For You ... M.R. 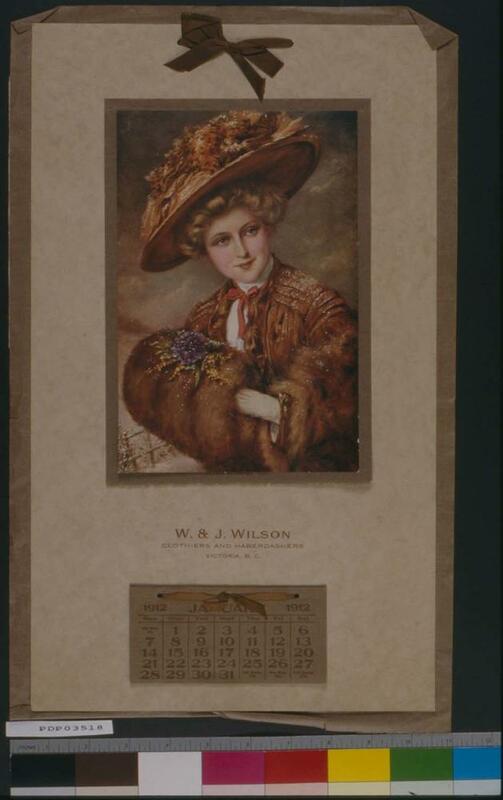 Smith And Co. Ltd.
ItemPDP03518 - W. And J. Wilson Clothiers And Haberdasher. ItemPDP02800 - From Victoria To Vancouver City. ItemPDP02801 - On Way Victoria To Vancouver. ItemPDP02802 - The Honourable Edgar Dewdney. ItemPDP02803 - R.C.M.P. St. Roch In The Northwest Passage. Item PDP03518 - W. And J. Wilson Clothiers And Haberdasher. W. And J. Wilson Clothiers And Haberdasher.